After endorsing Bernie Sanders at a recent rally held at the Bronx in New York City, Rene Perez Joglar sat down with the presidential candidate to talk about issues in Puerto Rico, Latin America and much more. 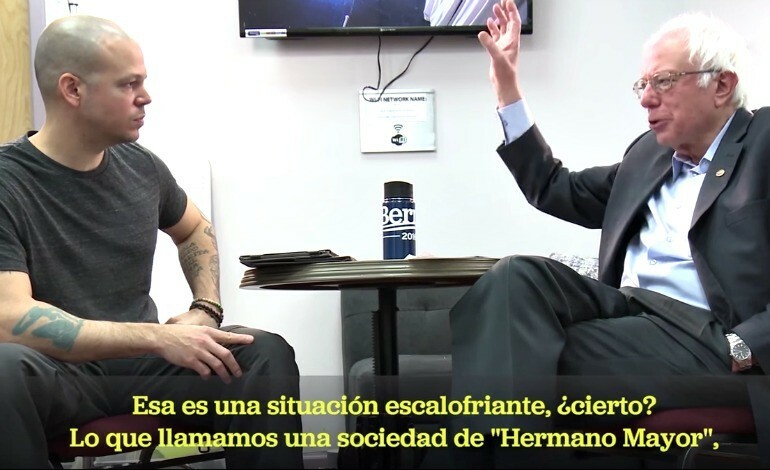 A video published earlier this week on Bernie Sander's official YouTube channel shows the former Calle 13 frontman, who is known by his artistic name Residente, talking face-to-face with Sanders in both English and Spanish. Part of the 13-minute long conversation went as followed. "Do you feel like you live in a free country? With all the surveillance around, the NSA invading people's private spaces, the news controlling and manipulating information, with ads to join the army at movie theaters, etc. etc.?" asked Perez at the beginning of their conversation. "I think we live in a world where technology is radically changing," said Sanders, stating that there's good evidence that the NSA keeps track of the phone calls that millions of Americans make, targets emails and targets websites people visit. Sanders, who describes the situation as scary, emphasizes that not only does the government know everything, but so do corporations. "We have got to create policies," Sanders said. "Yes the government has got to protect us from terrorism, that's a serious issue, but 99.9 percent of the people have nothing to do with terrorism and they should not have government or corporations knowing everything about their lives," noted the Democratic candidate. Staying on the subject, the "Ojos Color Sol" singer asked about Puerto Rico's independence: "Why do you think, after almost 120 years of being a colony, the United States hasn't been granted independence to Puerto Rico?" "From my point of view, it's not my job to determine the political future status of Puerto Rico, that is the right of the Puerto Rican people," Sanders replied, giving the example that the island is divided by those who want to see an independent nation and those who want to maintain the status quo. The Puerto Rican singer asked Sanders that if he wins the presidential election, if Puerto Ricans will be granted the right to vote in future elections, emphasizing that the changes made in the U.S. affect the island. "By definition, if Puerto Rico becomes a state, then of course they have the right to vote," said Sanders. The two men also talked about the economic crisis in the island, the "Monroe Doctrine," and the future relationship between the U.S. and Latin America. As they wrapped up their conversation, Perez and Sanders talked about baseball, including some of their favorite players, collecting baseball cards, and the hopes of seeing Cuban athletes play the major leagues. 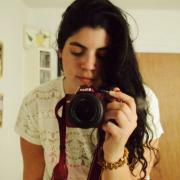 Check out their encounter above.